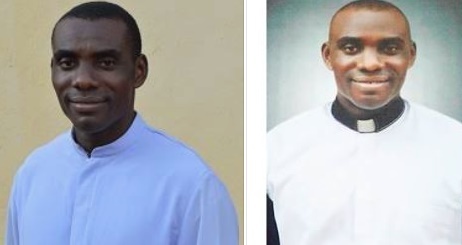 A revenue agent at the Abakaliki Rice Mill company complex on Monday evening allegedly beat a Catholic Priest in Ebonyi state, Rev. Fr. Mathew Orie to coma for refusing to part with N500 illegal levy. The priest, it was gathered, is now at the accident and emergency unit of the Federal Teaching Hospital Abakaliki(FETHA) battling for his life. The money it was gathered was demanded by a revenue agent at the gate of the rice mill. Rev. Fr. Orie is the Principal of Girls’ Technical College Agba in Ishielu local government area of the state. He had gone to the mill to buy rice for students of his school and reportedly paid all necessary revenues that will qualify him to evacuate the rice out of the mill. But the agent, whose identity is yet to be ascertained, accosted him and demanded that he must be settled before transporting the bags of rice out of the industry. The priest had wanted to pay the sum of N500 the agent demanded from him when other revenue collectors told him that he has cleared all the revenues. “Having been told that he has cleared every fees, Fr. Orie decided to carry his goods out of the gate and refused to pay N500 a tout asked him to pay. It was at this point that the tout descended on him and beat him to pulp. “It was a team of policemen that was contacted that came and carried him to the hospital where he is currently receiving treatment”, a witness said. Police spokesman, Loveth Odah confirmed the incident. She disclosed that motorcycle belonging to the suspect which he abandoned and escaped has been recovered by the police while efforts are in top gear to apprehend him.